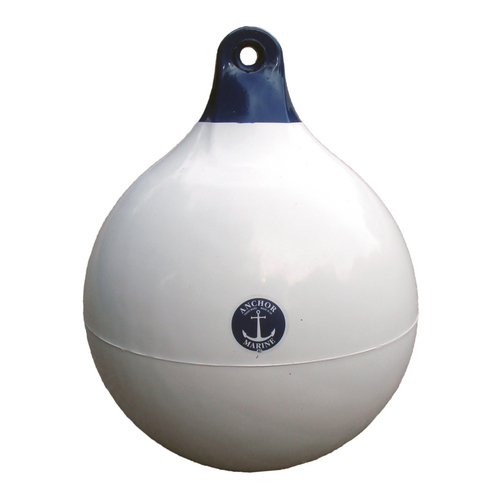 A large Anchor Marine baot ball fender with re-enforced fixing hole and blue coloured tip. 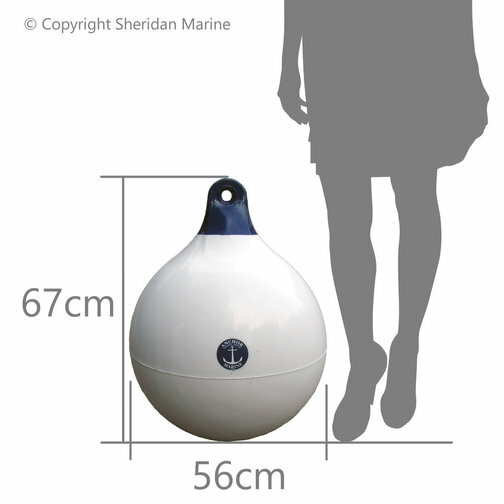 Large Anchor Marine ball fender that is useful for protecting the side of your boat. These boat ball fenders are particularly useful for using at the bow (front) of the boat where there can be a considerable arch. The ball fender fills this gap create by the flaring arch and the bank. The fenders come blown up to a 'standard' pressure ready to use, the pressure can be adjusted to suit.